Does Taylor Swift have new music coming out?!? The rumors started flying when Taylor Swift added a clock to her instagram story that appeared to be counting down to April 26th. First of all we know Taylor knows how to build hype like nobody else… could this countdown be leading to a new song? A new album in the works?!? If the rumors are true then I needed to know more. 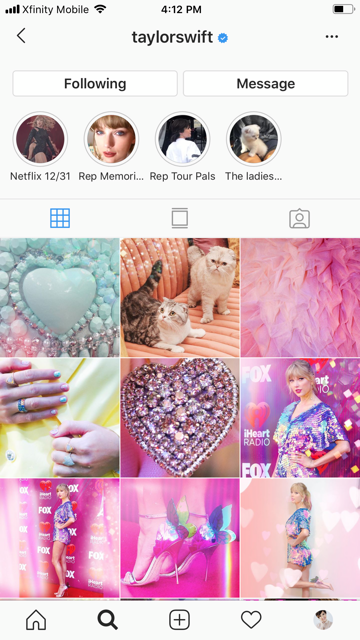 Check out Taylor’s instagram, her dark, moody “reputation” era photos have been slowly being replaced by new colorful photos. This completely is a different vibe than what she was bringing us with “Reputation”. Are we in for another reinvention of Taylor Swift? I guess we need to wait til April 26th to find out!